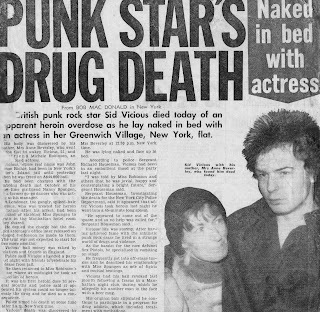 February the 2nd 1979, Sid Vicious is found dead in the Chelsea Hotel from an overdose of heroin. Thanks to Bob from That Striped Sunlight Sound for this article. The front page of The Brisbane Telegraph 1979. Where can I read the article?